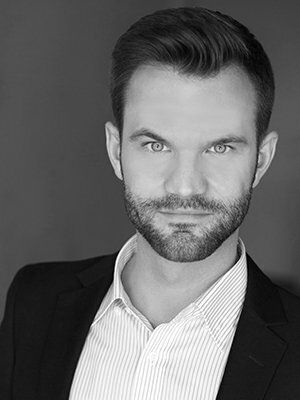 Praised by the New York Times as a “stand out” performer, tenor Steven Brennfleck has been consistently acknowledged for his consummate artistry, vocal flexibility, and moving interpretations on the operatic and concert stage. His operatic credits include performances with the Alamo City Opera, American Opera Projects, the Caramoor Festival, Glimmerglass Opera, New York Lyric Opera Theatre, Portland Opera, Spoleto Festival USA, The Tanglewood Festival, Theatre Nohgaku and the Westminster Opera Theatre in roles including Don Ramiro (Cenerentola), Tamino (Die Zauberflöte), Laurie in Adamo’s Little Women, Gonsalve in Ravel’s L’Heure Espagnol, Henrik (A Little Night Music), and Tobias Ragg (Sweeney Todd). Highly regarded on the concert stage, Mr. Brennfleck made his Carnegie Hall debut in 2012 in Handel’s Messiah and returned there in 2015 for a performance with the MET Chamber Ensemble of Charles Wuorinen’s It Happens Like This. His other recent collaborations include concert appearances with the Alabama Symphony Orchestra, American Bach Soloists, Austin Symphony Orchestra, Fall Island Vocal Arts Seminar, Georgetown Festival of the Arts, Handel Choir of Baltimore, LA International New Music Festival, June in Buffalo Festival, Round Rock Symphony, Temple Symphony Orchestra, and the Victoria Bach Festival. In addition to his performance credits, Mr. Brennfleck serves as conductor of the Ars Longa Ensemble and is a certified teacher of the Alexander Technique.